With just short of 12 days to go until what many have hailed as the fight of the Century, the Conor McGregor / Floyd Mayweather Jr stand-off set for August 26 has finally done what we all knew it was capable of doing: bring in the big bucks. ESPN has confirmed that a $880,000 bet has been placed in favour of Floyd Mayweather, at the South Point Casino in Las Vegas. Due to the fact that South Point’s bookmaking system does not allow bets yielding proceeds in excess of $1,000,000, the original ticket caused an error in the booking system and the ticket subsequently had to be printed in two instalments if $440,000 each in order to rectify the issue. The $880,000 bet will see a staggering return of $1,04,000. If Floyd Mayweather Jr wins the August 26 fight, that is.. Surprisingly enough, the majority of bets placed with Vegas sports books are in favour of Irish underdog Conor McGregor. Sports betting giant William Hill has confirmed that the figures aren’t merely in favour of McGregor, but almost exclusively so – with 95% of all bets placed in their Nevada sports book being on the likelihood of McGregor winning the fight. A 95% advantage constitutes a major liability having been built up – with the $880,000 bet doing its bit to even out the playing field just a slight bit. Bookmakers are holding their fingers crossed for more of the same in favour of Mayweather. 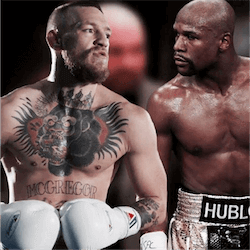 To shade and colour the lines in a more understandable way, consider this: for every one bet placed in favour of Floyd Mayweather Jr, there have been twenty seven in favour of Conor McGregor. Many are referring to this as typical long-shot, emotional betting. Supporting the underdog has been the downfall of many a generous punter. August 26 will reveal just how long that fall is going to be. Coach Owen Roddy seems confident that the people have spoken, and have spoken wisely, saying that McGregor is in top form and able to beat any version of undefeated boxing world champion Floyd Mayweather Jr – past or present. Mayweather certainly seems to be feeling the pressure, saying that this was the first time in the history of his professional boxing career that he felt the need to not only win, but to give the fans what they have paid for. One cannot help but wonder if the boxing great is trying an emotional approach in order to rake together much-needed sympathies from his die-hard fans – should everything go bottoms up on August 26. 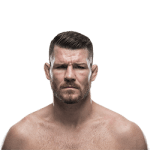 UFC icon Michael Bisping has told reporters that he believes the much-anticipated fight involving YouTube stars KSI and Logan Paul is a “mockery and insult” to combat sports. The YouTubers, who are set to fight it out in the Manchester Arena for ultimate bragging rights, finally face each other after …. Welsh boxer Joe Cordina has won the Commonwealth lightweight title after beating long-time rival Sean Dodd in a unanimous points decision. The match took place in Cordina’s home city of Cardiff. 26-year-old Cordina, who headlined at the NXTGEN bill, which was held at the Ice Area in Wales just 16 …. 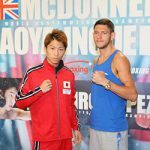 As the fight between Jamie McDonnell and Naoya Inoue winds up, Inoue has sent a warning out to McDonnell, telling that he needs to expect a crushing loss. His plan is to end McDonnell’s world title with a single punch during the fight. The match, which sees the Japanese fighter …. Josh Warrington is going to be led out on stage by former captain of Leeds, Lucas Radebe as he heads out to go face-to-face against opponent Lee Selby for the International Boxing Federation featherweight title. 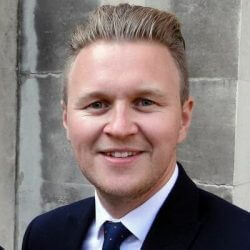 Warrington, who is the mandatory challenger for the crown and a proud citizen of Yorkshire, …. Sean Dodd has been on a winning streak of note in the last few months, and he’s been given another opportunity to test his mettle. 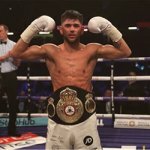 Dodd is the current Commonwealth lightweight champion, managing to hold on to his title by outperforming Thomas Stalker in a match that took place last ….